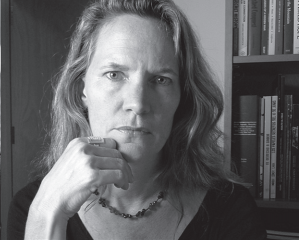 Kate Doyle of the National Security Archives, winner of the 2012 ALBA/Puffin Award for Human Rights Activism, reflects on the pursuit of justice in Guatemala in NACLA’s new Report on the Americas–a special issue dedicated to “Central America: Legacies of War.” Other contributors include Greg Grandin (who interviews Noam Chomsky), Sonja Wolf (on El Salvador), and Michael Fox (who interviews Jenny Atlee). Read Kate Doyle’s essay here; full table of contents below. In the 1980s, Central America sank deep into political turmoil amid civil wars, brutal military dictatorships, and U.S. intervention. Three decades later, NACLA examines the legacies of war in Central America: Honduras is reliving its history of military coups, repression, and impunity. In Guatemala, a former dictator is charged with genocide. Across the region, former guerrillas and generals are in power, the military is again taking a disturbingly prominent role in policing, and communities are defending their land from powerful interests. Dennis Rodgers: Nicaragua’s Gangs: Historical Legacy or Contemporary Symptom?